Apple applied for a Temporary Occupancy Permit for the Steve Jobs Theater on Aug. 8, VentureBeat discovered. A few weeks later, on Aug. 31, Apple sent out invitations for its Sept. 12 event. "Let's meet at our place," the invitation read. "Please join us for the first-ever event at the Steve Jobs Theater in Cupertino." Clearly, Apple was confident that the city would sign off on the new building. 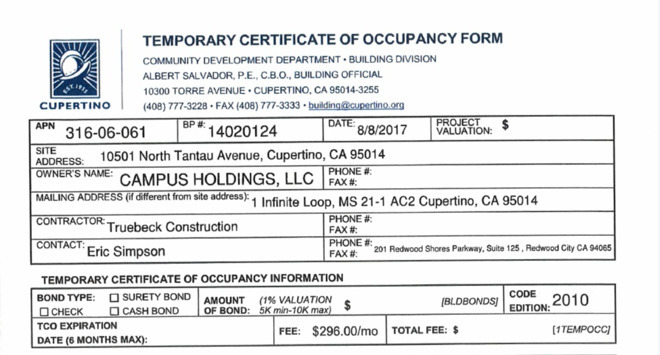 But approval wouldn't come for another day, as Albert Salvador of the Cupertino building department didn't officially approve occupancy within the structure on Sept. 1. Photos have shown the theater still under construction as recently as Sept. 1. The city's approval mans that Apple has the all-clear to host members of the press for Tuesday's event, where it will unveil the highly anticipated iPhone X with OLED display. 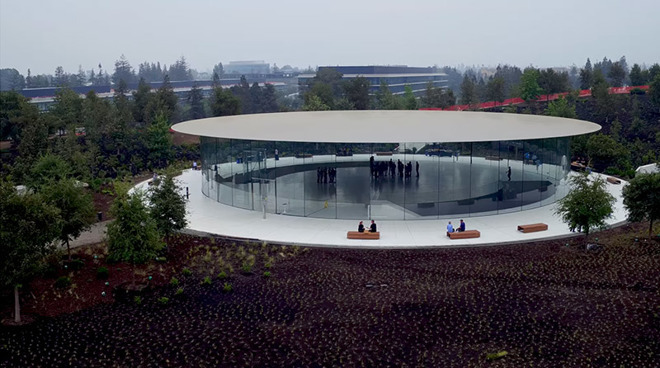 The temporary permit also approves the use of the lobby for a hands-on demonstration area, where attendees will presumably get their first opportunity to use the iPhone X.
AppleInsider will be there live at the Steve Jobs Theater on Tuesday when Apple's iPhone X event kicks off at 10 a.m. Pacific, 1 p.m. Eastern. In addition, the company is also set to announce an iPhone 8, iPhone 8 Plus, Apple Watch with LTE, and a 4K Apple TV with HDR. Readers can install the official AppleInsider app on their iPhones and iPads to get instant alerts and push notifications as news breaks.